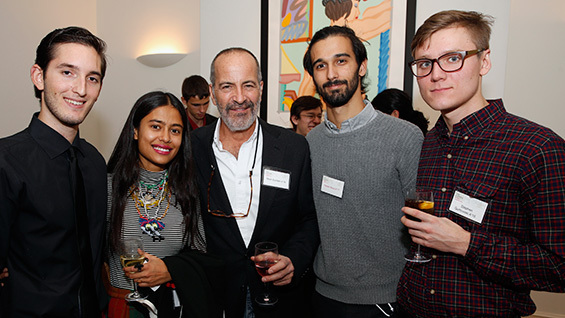 The second annual reception of The Cooper Fund Leadership Circle drew a lively crowd of donors, students, trustees, faculty and the President of The Cooper Union to the Stuyvesant-Fish House on November 13. 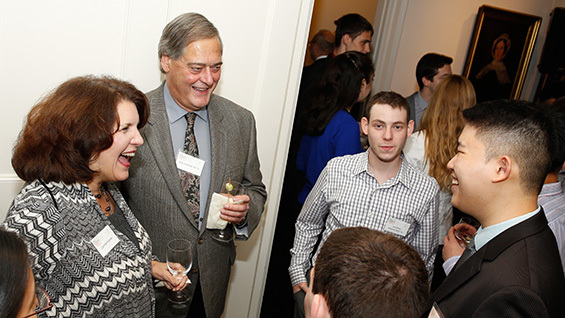 The Cooper Fund Leadership Circle recognizes donors who contribute a total of $10,000 or more in the prior fiscal year. This past fiscal year 83 donors supported Cooper at this level, an increase of 15 percent in the number of donors over the previous year, with their giving totaling over $4 million. 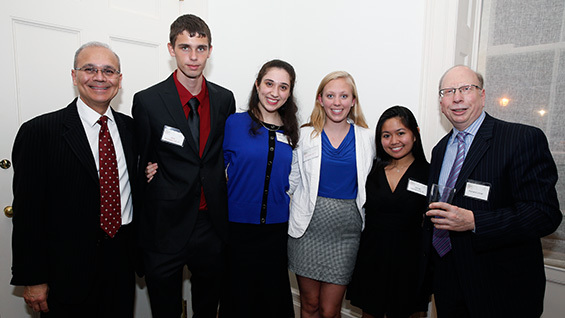 "Your support is critical to help us sustain Cooper’s unique educational experience, attract the brightest students and provide additional financial support to those who need it the most," Richard Lincer, chairman of the board of trustees, told the group. One of the benefits of giving a total of $10,000 or more in a fiscal year is that named scholarships are established for each donor. Students are then nominated by the academic leadership to receive the honor of being a named Cooper Fund Scholar. 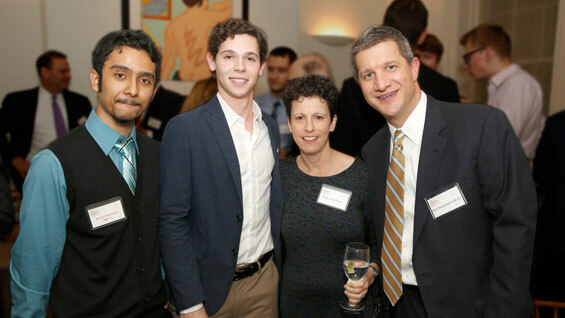 "This annual event is held to thank you – our most generous supporters – and to introduce you to some of the remarkable students here at Cooper whom you support through your contributions," President Bharucha said to the assembled guests. 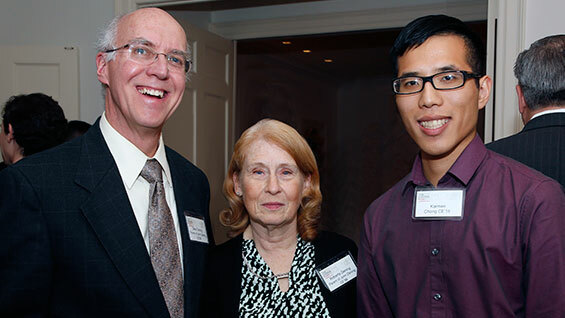 One pair of attending donors, Deke and Roberta Dening, met Karmen Chong, a civil engineering senior and recipient of a scholarship in their name. "At Cooper Union, our son [John Reynolds Dening CE'99 and MCE'03] got an education worth many thousands of dollars," Mr. Dening said. "We can never pay that back, but we gladly pay it forward."